nVent Thermal/Raychem provides industry-leading Heat-Tracing products for every application, from pipe freeze protection to high-temperature process maintenance. With over one billion feet of heat trace installed all around the world, nVent Thermal/Raychem has the experience and knowledge to provide safe and reliable heat control for your operation. 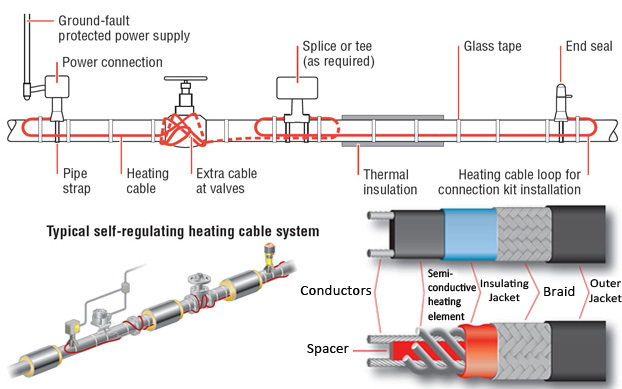 nVent Thermal/Raychem Heat-Tracing is designed for flexibility, offering Self-Regulating, Power-Limiting, Mineral Insulated, and Longline cables. A comprehensive list of components and accessories is also available for a fully integrated Heat-Tracing solution. 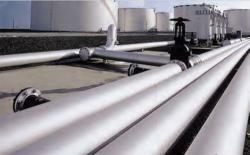 For more information on Industrial Heat-Tracing from nVent Thermal/Raychem, contact AC Controls. For video guides on installating nVent Thermal products, check out the nVent Thermal Youtube Channel. Power Limiting Heat Tracing Cable from nVent Thermal/Raychem for high-temperature applications. Pyrotenax Mineral Insulated Heat Tracing Cable handles even the harshest environments. Longline Cable from nVent Thermal/Raychem meets the unique needs of long pipeline applications. Copyright © 2012 - 2019 | AC Controls, All Rights Reserved.